This atlas, shown here closed and sitting on a table, is much larger than it appears: it weighs fifty pounds! 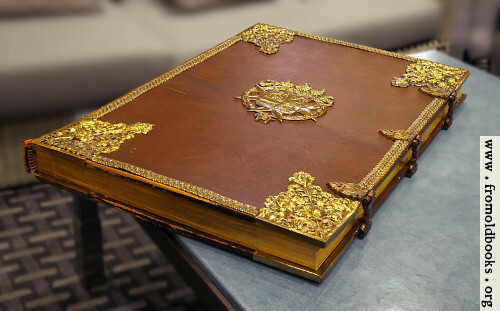 It is bound in full leather with brass to protct the corners, and with brass clasps to hold it closed. I also took a photo of the book open to a 1664 map of the world. 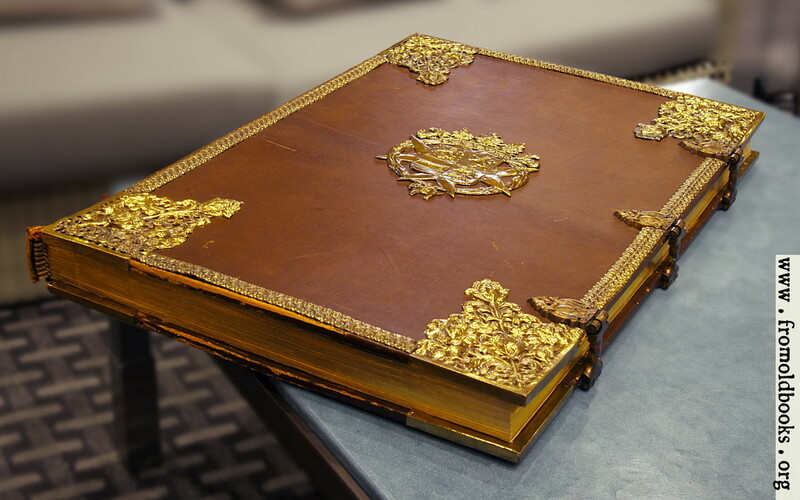 The book was (rather unexpectedly) in the guest lounge of a hotel in Tokyo; I do not own a copy of it.